It may be old news for MANY of you, but for just as many doing dabs is something totally different than the norm. Whether you’ve never tried em, or you’re an expert – this video will entertain, no doubt. 1. Scoop (a small dab). 2. Heat (nail with torch until it almost glows). 3. Inhale (smoothly as you touch your prepared dab to the hot nail). 4. Clean (your wand and nail). Follow along with the video and watch a serious professional do his job. Follow along with the video and see an expert collect kief for pressing into hash. 1. For best results use only properly cured, frozen material. Frozen trichomes break off of their stalk and are more easily separated from the plant material. 3. Quality not quantity. Expect a low return. 1. Combine plant material with about 40% dry ice in a sifting bag. 2. Shake the bag over the tub. 3. Cold material and friction will break the trichomes off of their stalks. The kief will fall into the tub below for collection. Eugene Monroe, former Jacksonville Jaguars football player and current Baltimore Ravens tackle – recently donated $80,000 to cannabis research. When questioned about his personal marijuana use, Monroe upheld that he has not and does not utilize marijuana in any capacity. What he did say was that the opioid crisis, which is rampant in the United States, very seriously affects professional football players. So conservative football enthusiasts can relax, Monroe is NOT hoping to toke up and hotbox in the locker room anytime soon. That is simply not his intention in contributing to cannabis research. Instead, Eugene Monroe is fighting for the least addictive, most effective pain relief medicine for pro-athletes in the NFL. And he just so happens to believe that medicine is marijuana. It is refreshing to see someone so detached from the personal use aspect of cannabis putting his money where his mouth is to get social (and sporting) rules to be more accepting. Thanks for your contribution Eugene! The latest country to sit at the cool kids table is Macedonia. That is right, loveable Macedonia (do you know ANYTHING about Macedonia?? ?l) decided just last week to legalize medical cannabis! The Health Minister announced plans to have medical marijuana available for patients to purchase in regular pharmacies across the country. Like patients are real people, imagine that! This means that Macedonians who use medical cannabis wouldn’t be going against Macedonian government drug policies – the way that residents in medical states in the U.S. go against United States Federal government drug policies. Macedonians won’t have to worry that their pharmacies, their families or their businesses will be in jeopardy due to breaking the law. Croatia was the first Balkan state to legalize medical marijuana, at the end of last year, which left the opportunity for Macedonia to take a stand themselves. Here is to breaking unjust cannabis standards. And what do you think? Are you more likely to visit the Balkans? But you’d be wrong – it’s made from around 100 pounds of hemp and is more 10x MORE dent resistant than steel! It’s even lighter than fiberglass or steel. With Henry Ford’s cannabis car as his inspiration, Florida resident Bruce Dietzen set out to craft his own set of wheels from hemp. Dietzen admired Ford’s early adoption of sustainable materials – the hemp car Ford made was about 3 times greener than cars today if you can believe that! It took $200,000 to create the car from an existing frame and he estimates he experienced a $200,000 loss of earnings while he built the car. Bruce aspires to mass produce his car with US grown hemp. His car’s materials were all shipped in from out of the country because of the ban on growing hemp in Florida where he lives. Any chance we’d catch you driving this thing? If it didn’t cost $200,000 that is? In a span of only 5 days, seventeen patients were seen at the Waitakere Hospital in Waitakere City, New Zealand. Each had reportedly been using synthetic cannabis, with some utterly terrifying side effects. Now, the city’s District Health Board is taking a stand and attempting to educate the population on the risks of the drug. Emergency Clinic Director, Kate Allen, said “typical” presentations for synthetic cannabis use are “high blood pressure, palpitations and negative effect on the mind including anxiety and hallucinations.” But the seventeen users seen recently in Waitakere presented different symptoms altogether – seizures and low levels of consciousness. Allen believes these effect could point to additional chemicals being added to the synthetic blends. A Washington Post article I read put it pretty bluntly with its opening statement, “Want to take a bit out of the American Obesity epidemic? Legalize medicinal marijuana.” They make it sound so obvious. And so easy. A recent study discovered that in states that passed medical marijuana laws, the population had a 2% to 6% decline in their probability of obesity. Some of the findings indicate why cannabis could be preventing obesity. For older users, cannabis increased physical mobility because it reduces pain and inflammation – HELLO, ARTHRITIS. Basically, folks who would be highly immobile due to arthritic issues or other aches and pains are able to use cannabis and regain much of that mobility back. So they aren’t sitting around all day because it hurts too much to move. In younger users, cannabis often correlates with a decreased consumption of alcohol – which is high calorie – which increases chances of weight gain. To be clear – this doesn’t mean that this is automatically a law. This is merely a suggestion to Congress, which they roll with or not. President Pena Nieto will propose Congress approve importing and use of marijuana-based medicines. He is also proposing the legal amount of cannabis one can carry be raised from 5 grams to 28 grams. Pena Nieto also is requesting of Congress that “many people behind bars for marijuana offenses to be released,” but gave no plan to the public as to how that would be enacted if approved. 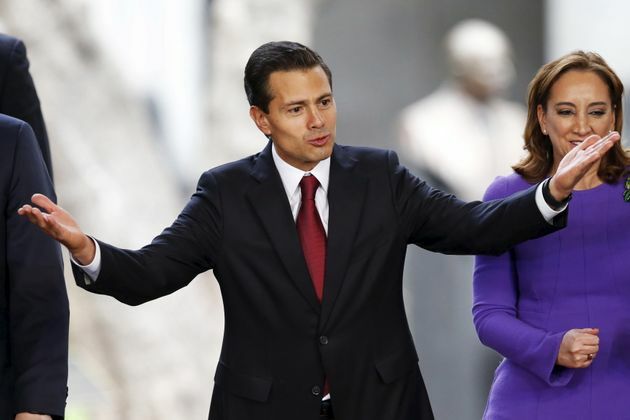 Typically noted for his opposition to adjusting drug laws, Pena Nieto views started shifting as regional discontent with the drug war began to swell. Thousands have been killed in violent crimes stemming from the drug trade. And Latin American politicians on the ground are taking notice – and aren’t happy about how prohibitionist mindset and laws are contributing to annual deaths. Do you think Mexico is on the right track? Or will these progressive viewpoints make the illegal drug trade even worse? Very unwavering dietary regulations are in place during Passover and many in the community wondered – could cannabis be ingested in any way during Passover and be kosher? So before the holiday this year, an organization called Siach made a point to get an answer once and for all. Mostly because of who it came from. The Times of Israel reports the governing decision came from, “Rabbi Chaim Kanievsky, widely considered the leading living ultra-Orthodox halachic authority.” If you ask me, that certainly sounds like the guy would be fairly conservative and perhaps unreceptive to the cannabis plant. Okay, so maybe not quite like that. Check out this video for a glimpse of the rabbi in action. Linda Horan was dying when she sued the state of New Hampshire. She was 64 and in the midst of late stage cancer of the lung. As a former labor activist, fighting for her rights was not a new concept for Horan…but she was fighting for something new this time. Linda Horan wanted the right to use cannabis. New Hampshire has legalized medical cannabis – several years ago – but in November of 2016 when Linda sued, there had been no dispensaries to purchase that medicine from. Linda just wanted a medical card and the chance to utilize the medicine she could obtain from Maine back at home in New Hampshire. But because the medical program wasn’t set to be officially up and running until the next year, lawyers for New Hampshire state argued that issuing a card to Horan before would limit their control of the distribution of cannabis. But, Horan might not be alive when the medical marijuana dispensaries officially opened in New Hampshire the next year – why not let her use medicine the residents of New Hampshire have already approved? Linda Horan passed away on Monday, February 1, 2016. She was in the company of those she loved when she passed. She was still just 64. Linda wasn’t expecting to live for much longer when she decided to sue the state for access to cannabis. She just knew that she had a voice and a right to express it. We should all take inspiration from Linda who made it a point to never give up.